Teachers Pay Teachers has become a more amazing opportunity than I ever thought possible. In less than 6 weeks hub and I will be on our way to Europe. We are headed to Munich, Berlin, and Amsterdam for a nine day tour, paid for in full by my fall Teachers Pay Teachers earnings. Not only am I proud of myself for this accomplishment, but I am incredibly grateful to all of my fellow teachers who have purchased my products. It’s the easiest thing to start doing. I simply take the lesson plans, PowerPoints, and worksheets I already spend time making for my classes, and upload them to TPT. You literally set it and forget it. Jumping on this bandwagon three years ago has created some amazing opportunities for me. 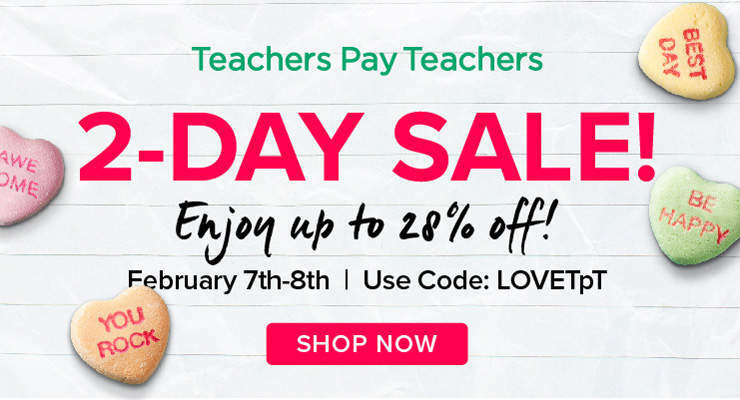 Teachers Pay Teachers is hosting a site wide sale starting tomorrow, 2/7/17, running through Wednesday, 2/8/17. I will be running 20% off all my products, which is huge if you have recently checked out my most expensive product, a year long. everything you need for every single day, Intro to Art pack for $75.00, marked down to $60.00. I have also been busy posting some new items the last few weeks. Check out my shop here and details below! 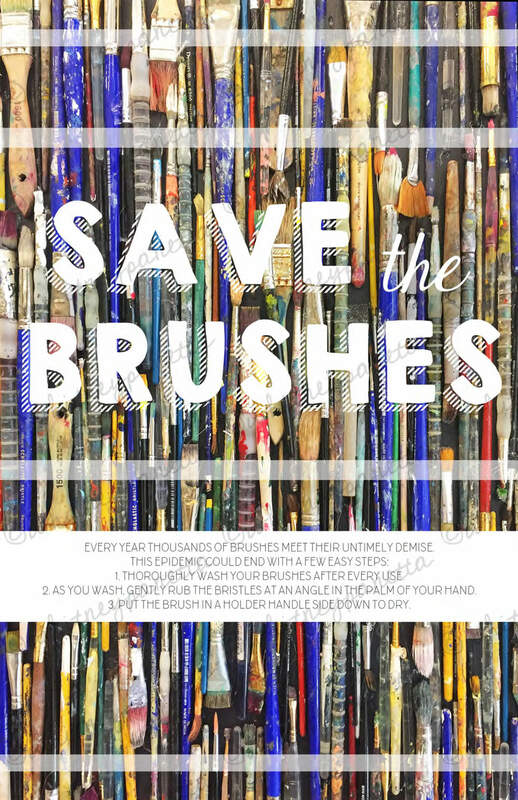 My most recent product is one of my favorites, a “Save the Brushes” poster reminding students how to properly clean brushes. The photograph in the background are actual brushes my students have killed in the last year. Check out the poster and more details here. 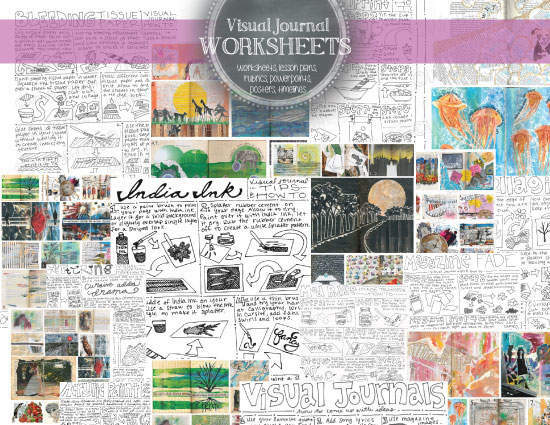 I finally compiled all of my visual journal teaching tools into one bundle pack. This makes it cheaper and easier to get everything you need to introduce and maintain this project through multiple classes and levels of art courses. Check it out here. Right now my team of Literary Magazine students are working on compiling all of our art and writing submissions into our annual magazine. 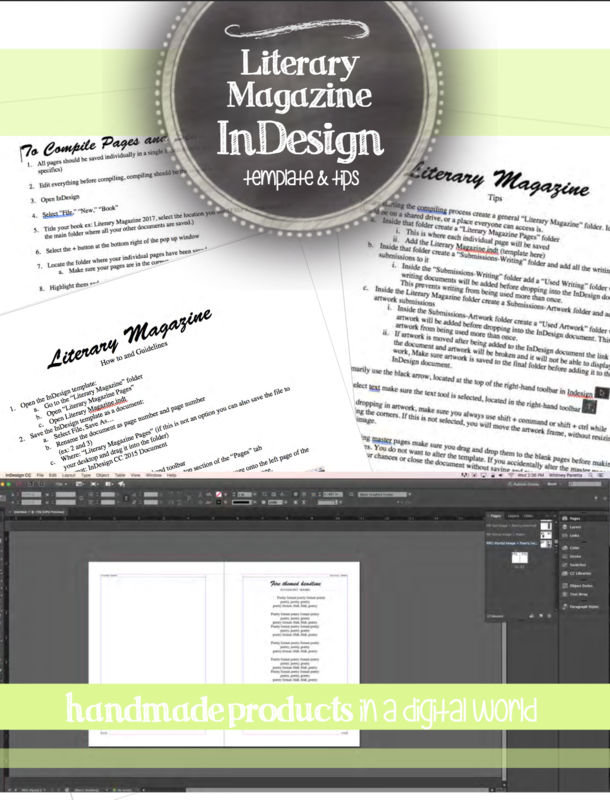 I decided after putting together my multiple how to handouts, that this could be a good resource for teachers new to the Literary Magazine world. Check it out here. 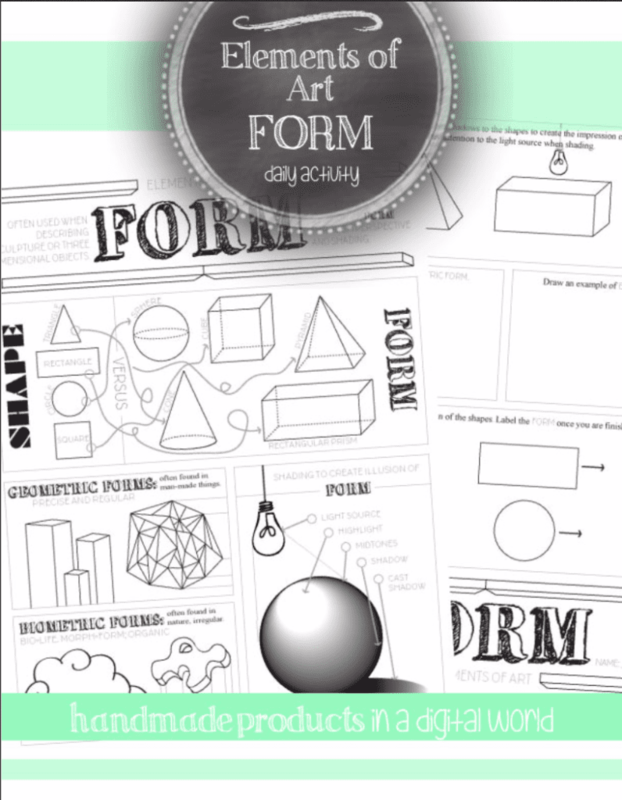 After the success of my hand drawn Elements of Art and Principles of Design worksheets, I decided to make digital versions of them. This gives another version for teachers who have already tried my product to use in their classes, and a cleaner version for those who like this look better. I have already uploaded color, shape, line, and form, and am working on the remaining elements. Once they are all done I will bundle them for $10.00 for all seven worksheets, the same price as my hand drawn set. The Principles of Design will be next, be on the lookout in the coming months. I have been working hard at my second job, adding to my TPT store. Although lately I have been spending most evenings creating and uploading products, once they are uploaded they can be continuously downloaded by shoppers without you needing to do anything. I am highly motivated at this point, I need spending money for my European vacation! My dad would be so proud. After nearly 10 years after my last math class, I have returned to arithmetic basics thanks to a Teachers Pay Teachers buyer suggestion. While math has never been my forte, my poor engineer father spent hours on end trying to help me understand, I have always understood art. I followed in my mom’s footsteps, as opposed to my dad, majored in art in college and started teaching high school art once I graduated. After a few years teaching, building a portfolio of lesson plans, worksheets, and decoration for my classroom, I heard of a website called Teachers Pay Teachers. It offered an opportunity to not only share my lessons with fellow art teachers, but it also provided a chance for me to make a little extra money on the side. As a teacher, every extra bit of money helps. A couple of years ago I added a few products, but never really checked in on them, and didn’t take the time to market them. The following summer I decided one of my goals was to really put time into my TPT shop, and see if I could find success like so many other teachers had. I chose my best products, improved them further, made my shop look nice, included detailed descriptions, and shared on social networking sites. My first successful products were my Elements of Art worksheet packet and Principles of Design worksheet packet. Out of nowhere, in August just as school was starting back, I began receiving daily notifications of new sales. Finally, my hard work had literally paid off. A year after my products have really started to sell, I have added many more, and now have over 170 visual art based offerings. I am constantly putting up new things, testing the waters, seeing what people want. 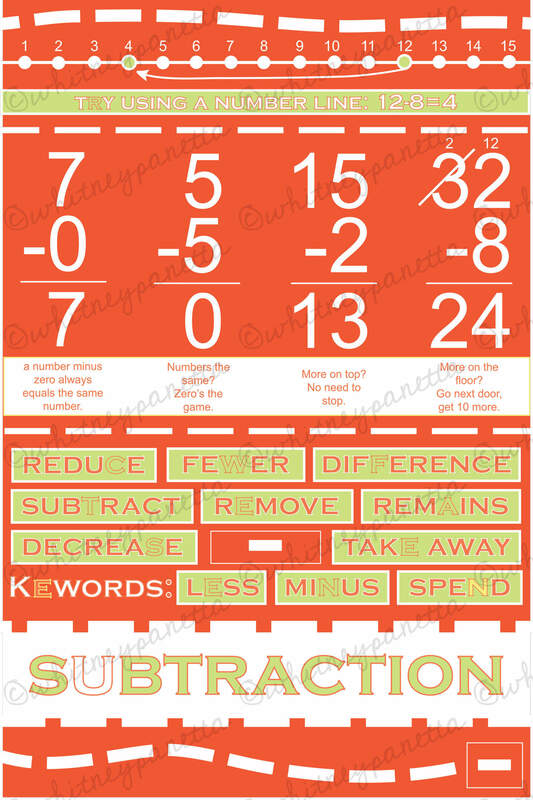 Recently, a buyer commented after purchasing my visual art poster pack that they would love some basic math and grammar posters. I was immediately intrigued. While my focus is neither math or grammar, my focus is to provided well designed, clear, and interesting products. My theory is, if a student’s interest can be sparked through color, texture, or pattern, they will be more engaged in whatever that product is trying to teach them. I had been looking for a good crossover product into general education, and this could be it. For the past couple of weeks I have been working on math foundations, arithmetic posters. I am mainly gearing the information to elementary students, however, I don’t think there is anything wrong with hanging math basics in middle school and high school classrooms. As a student who constantly battled math, I would have benefited greatly from having foundation reminders I could reference. 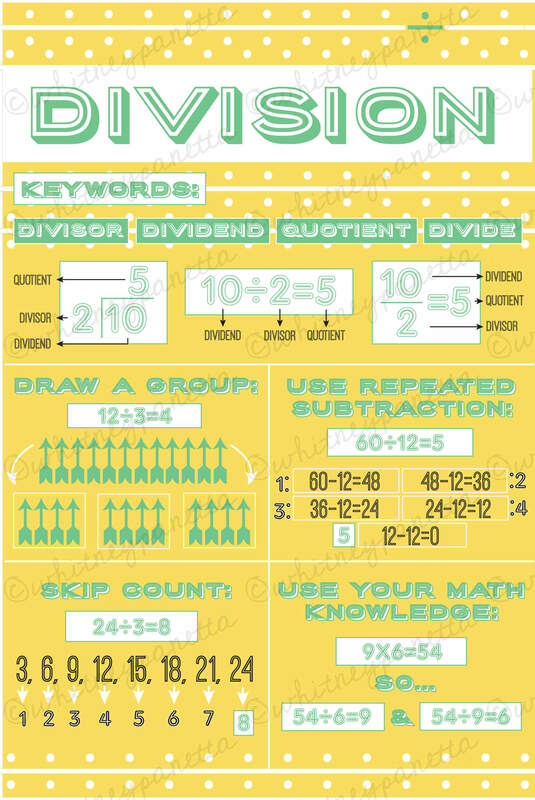 So far, I have completed addition, subtraction, multiplication, division, fraction, decimal, and percentage posters. I have a positive/negative numbers poster in the works, and am considering a time based poster for the itty bitties in elementary school. Currently, they are up on Teachers Pay Teachers for $2.00 each, but a bundle pack will be added very soon for a discounted price. Once my arithmetic posters are complete, I plan to do a set of geometry, algebra, trigonometry, etc. posters. I will be relying on the help of my math minded husband to complete the information on them, but I look forward to reminiscing on my middle and high school years as I create them. After that, I will visit the world of grammar and see what I can create there. Here are my finish posters in their preview form. If you are interested in purchasing them without the watermark check out my Teachers Pay Teachers store here. Each poster comes in two variations, a large size and a 8.5″x11″ size for easy printing. 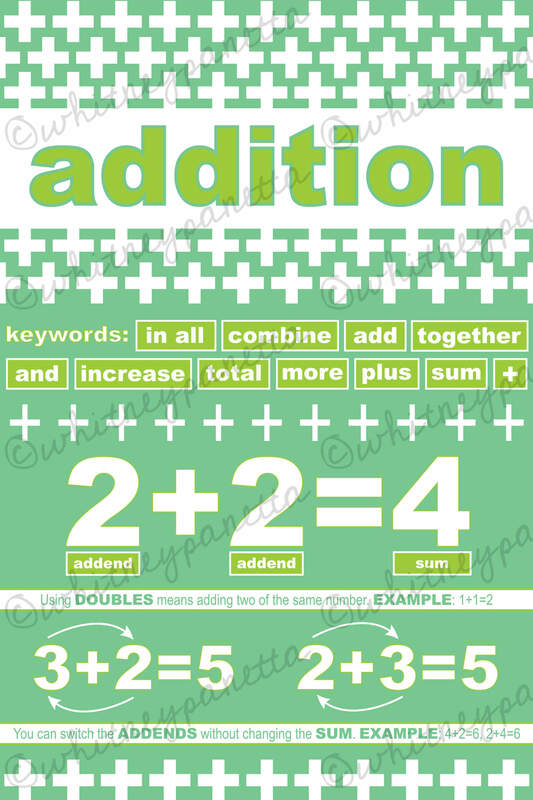 The addition poster covers basic keywords, examples of addends and sums, and other information. My subtraction poster also includes keywords, a number line, and examples of various subtraction situations. 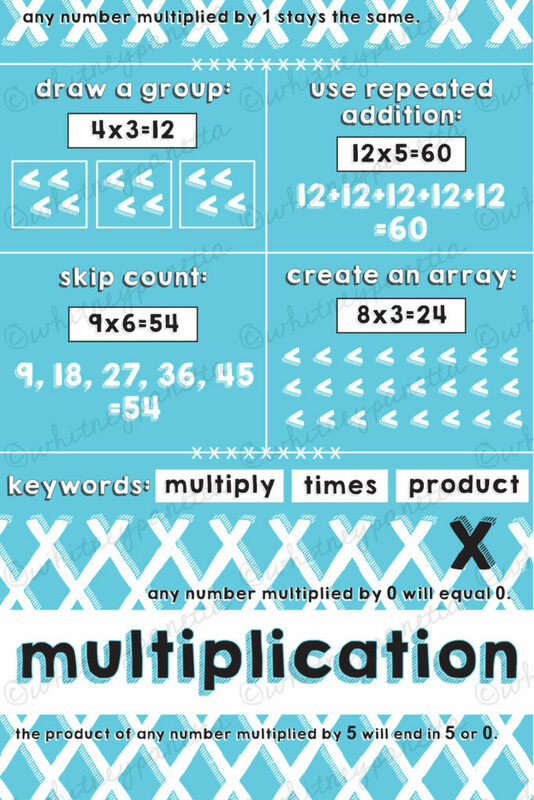 The multiplication poster includes keywords, multiplication tips, and four methods to help you learn to multiply. The division poster includes keywords, three different ways division equations may look, and four methods to help you learn to divide. 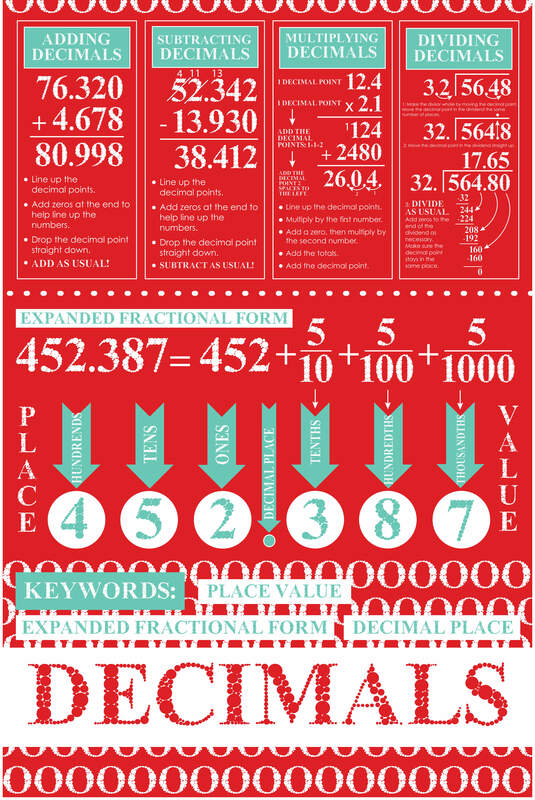 The decimal poster includes keywords, an example of place value, expanded fractional form, and examples on how to add, subtract, multiply, and divide decimals. This poster is currently available for FREE download for a limited time! Check it out here. 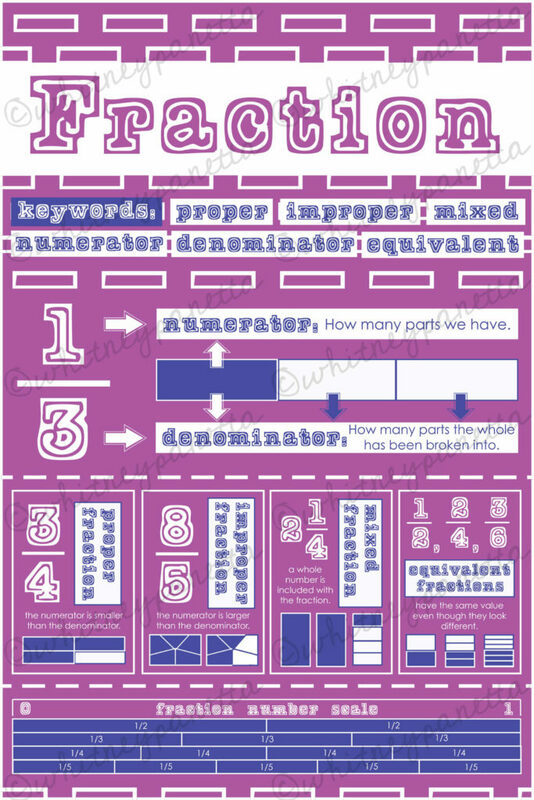 The fraction poster includes keywords, an explanation of numerator and denominator, examples of proper, improper, mixed, and equivalent fractions, as well as a fraction number scale. 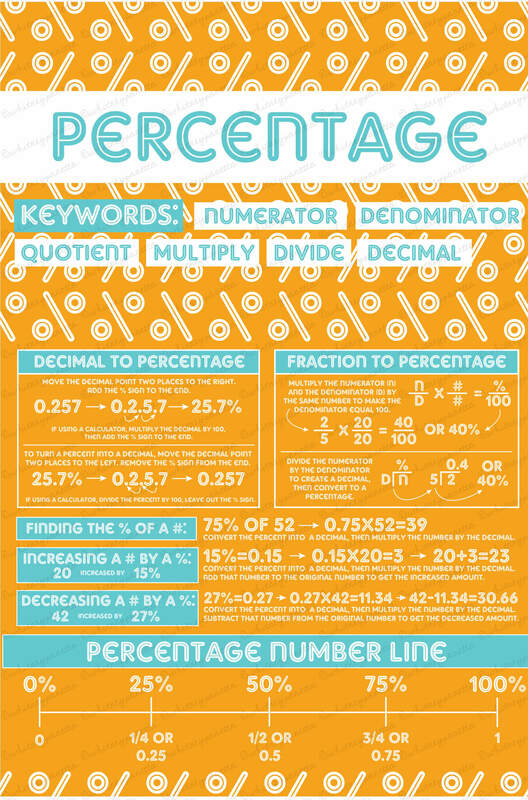 The percentage poster includes keywords, examples of converting decimals and fractions to percents, finding the percent of a number, increasing and decreasing numbers using percents, and a percentage number line. Every poster was carefully designed. I used the symbols associated with the math foundation to create the pattern of the poster. I present the information in a visually pleasing way, that will hopefully better engage students as they learn. I am playing with the idea of converting these posters into worksheets with problems to test their knowledge on the back. 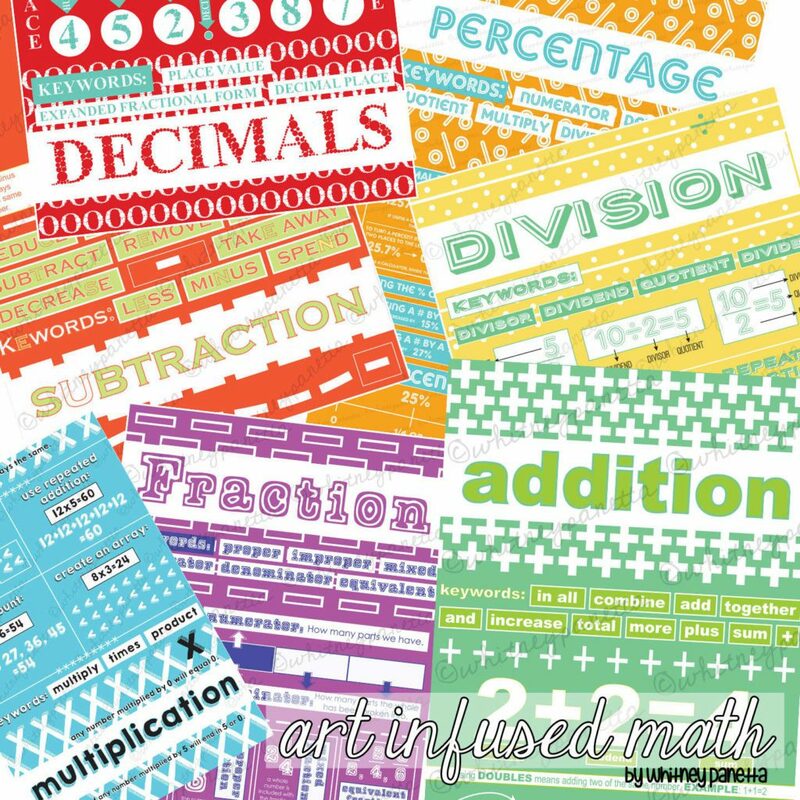 I hope these find their way into typically mundane math classrooms and brighten up the walls and learning process. Thanks for taking the time to check out my blog and my Teachers Pay Teachers post! Help me spread the word about my products by sharing with others via your social networking site of choice. Use my share buttons below to make it easy! Have special request? I am happy to create custom order products. E-mail me here. Thanks for stopping by!